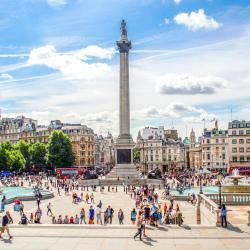 Looking for hotels near Victoria Tube Station? 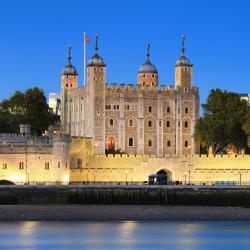 Located a 4-minute walk from Buckingham Palace and providing a garden, VI Castle Lane has accommodations in London. Complimentary WiFi is featured. This stunning boutique-style hotel overlooks Buckingham Palace and its mews, and provides exceptional comfort and personal service where no request is too large, no detail too small. The chic, modern Halkin has elegant bedrooms, a private gym and contemporary Basque cuisine. It is set on a peaceful street, 10 minutes' walk from the shops of Knightsbridge. We liked everything. I stayed with my children for 3 nights.Room was so beautiful and comfortable. Located in the center of London, a 10-minute walk of Victoria Underground, Railway, and Coach Stations, this family-run Belgrave Hotel features a bar and free WiFi. Buckingham Palace is within 1 mile.... Breakfast was delicious and the breakfast staff is the BEST! Very kind, helpful and curtieous! 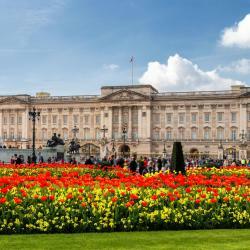 Located within 5 minutes’ walk of London Victoria Rail and Underground Station, this Comfort Inn is just a 15-minute walk from Buckingham Palace and its gardens. Great staff. Clean. Complimentary coffee and tea in lobby. AC works. 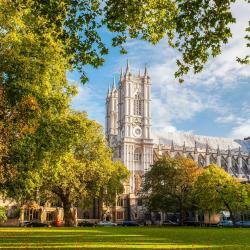 In the capital's iconic Westminster district, The Sanctuary House Hotel is less than a 5-minute walk from historic Westminster Abbey, the famous Houses of Parliament, and Big Ben. The perfect location. We always felt safe and the staff was great! With tranquil courtyard garden, St. James' Court, A Taj Hotel, London offers 4-star rooms, free WiFi and 3 restaurants. Buckingham Palace can be reached in a short walk. Great breakfast, lovely rooms and close to many attractions. The Georgian House Hotel is 2625 feet from London Victoria Station. This unique, award-winning property was built in 1851 and offers the charm of an English country hotel in the city. Breakfasts were included and were exceptional. In a tranquil location, this sophisticated 4-star hotel offers free WiFi and overlooks leafy Vincent Square. Victoria’s rail and Tube stations can be reached in 10 minutes’ walk. The staff was very friendly and helpful. 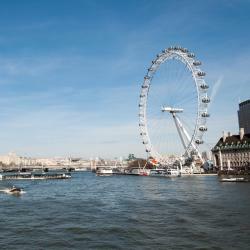 Hotels with great access to Victoria Tube Station! A 10-bedroom award winning hotel just 10 minutes' walk from Victoria and its rail and tube station. This stylish property offers individually designed rooms and an all-day restaurant. All of the staff was extraordinary. Windermere Hotel is a family-run hotel and brasserie, located a 10-minute walk from Victoria Underground Station, London. The hotel offers room service, a bar and lounge, and a 24-hour reception. Lovely room. Really helpful front desk personnel. Great location. Less than a quarter mile from Victoria Station, this beautifully preserved, elegant Victorian building now offers modern rooms just a mile from Buckingham Palace. The staff are very friendly. The rooms are clean. 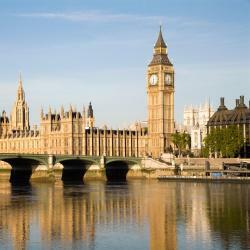 Mornington Hotel London Victoria is set in London, 0.8 mi from Buckingham Palace, and provides free WiFi. We had a wonderful stay. The staff was very courteous and welcoming, especially Natalia. Located in London, a 20-minute walk from Buckingham Palace, The Orange features a bar, as well as free WiFi. The property is around 1.2 miles from Victoria and Albert Museum and 1.3 miles from... Staff wonderful. Food was excellent too . Would book it again for sure. 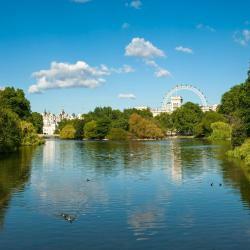 Set in London, Greater London region, The Beverley Hotel London - Victoria is located 0.7 mi from Buckingham Palace. Perfect location near Victoria Station. In stylish Pimlico, the family-run Melbourne House Hotel is just a 10-minute walk from Victoria Railway Station. The traditional hotel offers continental breakfasts and free WiFi. I stay in the hotel from 20.07.17 until 29.04. People are talking about Victoria Tube Station! 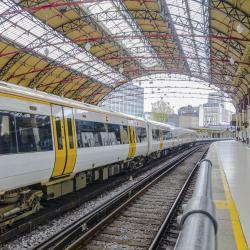 Explore guest hotel reviews featuring "Victoria Tube Station"
~10 mins walk from Victoria tube station and Buckingham Palace. Classy exterior and clean inside. Checking in and out were very smooth. The bed was also very comfortable. Can hardly find a better lodging option around Westminster. Tate Gallery, which is within walking distance of the Victoria One apartment. cruise down the Thames and see all the sights.Staying in Victoria area , so peaceful and some lovely parks . It's amazing that so important museums as National Gallery, British Museum, Victoria & Albert Museum, Natural History Museum, Science Museum, Wallace Collection have free entry! They asked for a donation, suggested 5 GBP, it's nothing for such places! National Gallery, Victoria and Albert for world crafts, esp. china and pottery..British Museum (all day) archaelology Tate for more mondern art.. Courtauld, Wallace Collection for ceramics. if that's an interest. Tate Britain, National Gallery, Victoria & Albert, British Museum.